The Best Books Ever: Reboot Blog Tour Kickoff- Excerpt, Guest Post and Giveaway! Reboot Blog Tour Kickoff- Excerpt, Guest Post and Giveaway! We are excited to be kicking off the Reboot tour for the author, Harper Teen, and Mundie Moms! If you want to follow the rest of the tour, check it out here. Then scroll down to read a portion of the book, check out more about the author and enter to win your own copy! "Ready," he said to the officer piloting the shuttle. He pulled the door closed and I head the locks snap into place. We lifted off the ground as Leb slid into his seat. I joined the line, pulling my long-sleeved black shirt off to reveal a thin white undershirt The cool air tickled my skin as I tossed the shirt over my shoulder, spread my legs, and held my arms out like I was trying to fly. I saw a Reboot fly once. He jumped off the top of a fifteen story building with his arms spread, hit the ground, and tried to drag his broken body to freedom. He made it maybe two feet before they put a bullet in his head. A guard, a human who smelled like sweat and smoke, quickly patted me down. He could barely keep the grimace off his face and I turned to look at the squat little buildings of the slums instead. The guards hate touching me. I think they flipped for it. I often tell people that Reboot’s road to publication was fast. Right after the book sold, I remember saying to my friends that I couldn’t believe how quickly everything had happened. It felt like a whirlwind, like I wrote this book and it was immediately snapped up by an agent, and then immediately snapped up by a publisher. Except it wasn’t actually like that. I know I may be the first person in the history of publishing to say this, but: Things actually happened a lot slower than I remember them. First of all, I wrote eight books before Reboot. I started writing novels some time in middle school, and I had six completed by the time I graduated high school. I took a break from writing (well, I took a break from finishing anything. I was still writing), and when I came back I spent a year writing a paranormal YA novel and a sequel. I queried over 70 agents and they all rejected it. So I wrote Reboot. It took me about nine months to get from first page to third draft. 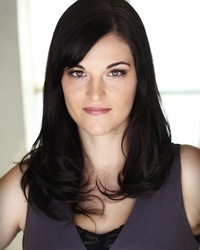 I got a lot more requests this time around, but I also got several rejections in the six weeks of querying before Emmanuelle Morgen offered to represent me. Then things really did move fast. We had immediate interest from publishers and an auction nine days after I went on submission. Reboot got a home at Harper Teen, and the next day, Fox called asking to buy the film rights. When I tell people about my publication journey I think I should probably say, “some parts were really slow, and some parts were really fast.” It took about 20 years of writing before I hit on The One, but it only took nine days for a publisher to buy it. I queried Reboot for about six weeks, and the novel before it for three months, but it only took Emmanuelle one day to request, read, and offer. I’ve talked to other authors about this, and many of them agree. Publishing happens in waves. You don’t hear a peep for months and then suddenly you have a cover and blurbs and an edit letter and interview requests and EVERYTHING NEEDS TO BE ADDRESSED RIGHT NOW. So I always tell pre-published authors not to get too discouraged with the slow parts of publishing. The fast parts are coming. Probably when you least expect (or are prepared for) them. 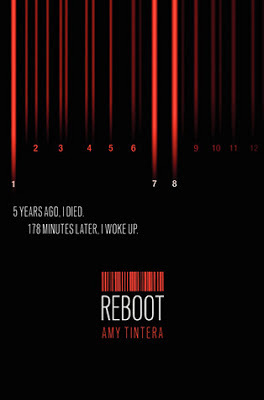 Thank you Harper Teen, one lucky blog tour follower will win a copy of Amy's REBOOT. To enter, follow the tour or fill out the form below (this form will be featured on each blog stop). I can't wait to read this one. It sounds like a great read. My students are looking forward to it coming to their shelves. Thanks for stopping by and commenting! Do you teach high school? It really does! Thanks for commenting! It is finally release week! I have had this book on my wish list for awhile! thanks for the giveaway!! Love the new blog! THANK YOU for kicking off today's tour! Have this on my TBR list, can't wait till it comes out. Sounds so interesting! This looks amazing! I can't wait to read it. Can't wait to read the book! Thanks for sharing! This books looks great, I can't wait to read it! Sounds like a great read! I love science fiction/dystopian stories. I enjoyed the author's comments about her publication experience. I'm SO excited to read this! It sounds amazing. I've had this one on my wish list for awhile and am so excited for it's release! 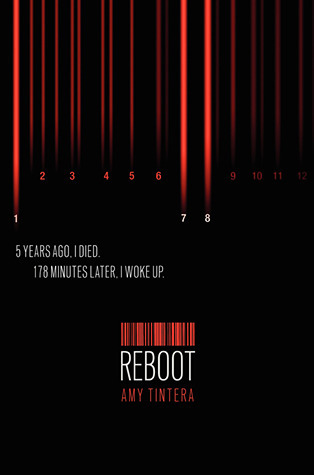 I don't read a lot of books like this one, but something about Reboot caught my attention and I am very intrigued by it! This sounds really interesting and I've been meaning to read something a little more sci-fi this year! Oh my gosh, I am dying to read this book!! !